After studying photojournalism in college, Mark Tucker now shoots advertising for the banking, insurance, pharmaceutical, publishing, and healthcare industries. Clients include Regions Bank, Amtrak, Jack Daniel Distillery, Harper Collins, Little Brown, Royal Caribbean, Bank of America, General Motors, Compaq, Eli Lilly, Walt Disney, Novartis, Penguin Books, Colonial Williamsburg, Pacificare, BB&T Bank, Caterpillar, Vanderbilt Medical Center, Iomega, Reebok, and Kodak. His work has been featured in Communication Arts, Print, Photo Design, Photo Insider and PhotoMarket magazines. So on to the candy! Gorgeous!!! I'm usually not a fan of models on book covers (I like to picture the characters myself and usually the models don't even match the author's description...well, that's a rant for another blog post), but I love the way Tucker has the models out of focus and the beautiful objects as the center of attention. 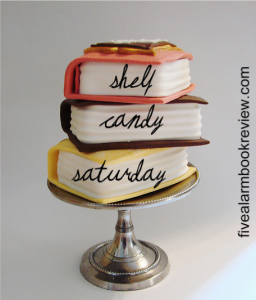 As icing on the pretty violet-toned cakes, the books are amazing as well. 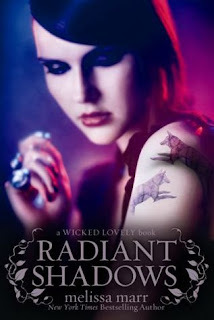 Melissa Marr spins a tale of faeries, tattoos, Summer and Winter that you should check out, if you haven't already. Well, that's it for this week, so head on over to Five Alarm Book Reviews to check out more pretty pictures and, hopefully, share some of your own picks! I remember seeing the cover of Wicked Lovely and thinking it's gorgeous (and one of the reasons why I picked it up to read).. the rest of the series is just as beautiful! Great meme idea! These are beautiful! 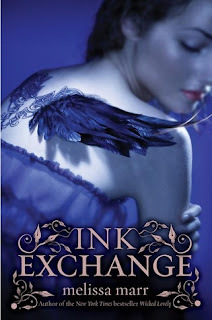 I ♥ Ink Exchange and Darkest Mercy. 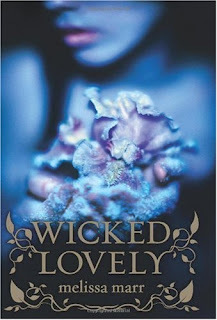 my favorite is the Wicked Lovely cover, I had no idea there were so many books in the series. 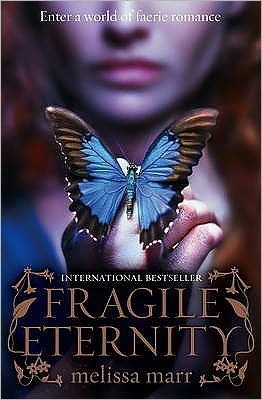 I am so blown away by these covers. 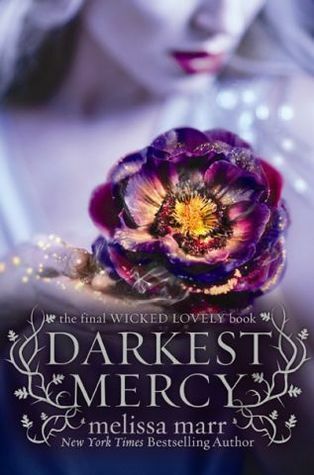 Darkest Mercy is my favorite, but they are all awesomely wonderful. Thanks for sharing them.